Singers, you are musicians. Often times we are lost in the solo world of performance and emotive expression through sound. Which is awesome. But we are musicians and expected to be, and definitely respected much more so, when we act as such. Solo performers are at somewhat a disadvantage when they show up at rehearsals with other kinds of musicians, a band, an orchestra, back up singers, or a pianist. We need to keep time so that people can play with us. We need to be able to follow a conductor during a staged performance. We need to be able to count. And number one, being able to learn your part spot on, by yourself correctly, even when it is hard. May I suggest you sign up for some piano lessons my fellow singers? I have been teaching both piano and voice for over 20 years. (I don't blog about the piano part because I am not a concert pianist, I am a very good piano player and fine teacher for beginning-intermediate students). I actually love to teach the piano with a passion because it works a different part of my brain than a voice lesson. It always feels like I have completed a complicated math test after a good lesson and that is great for me. I am sure my piano students feel that way as well. Also, what is fantastic about piano is that you can really track your improvement by completing levels of music so you know you are getting better. Singing is more complicated. You have to be born with a certain amount of talent beyond your control. 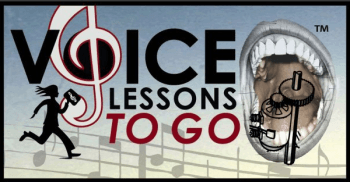 Lessons are important and help so much in singing, but it is different than piano playing. (You do need a certain amount of natural talent to be a concert pianist of course- I am not referring to that). So consider putting learning the piano on your list of things to do to further your singing level. I can not tell you as a singer how many times it came in handy for me to be able to pluck out my parts, or play the harmonies with my part so I could practice singing against them. Piano especially helped me out of college because I was able to teach voice lessons (you need to play the piano to do that well), and many of my fellow singers were lacking that skill. Consider it in the New Year.